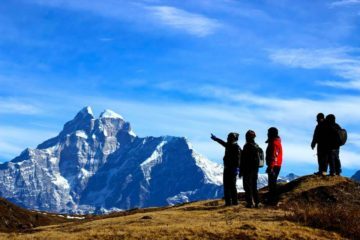 Nepal, widely known as one of the best countries for mountaineers and trekkers, also has a plethora of destinations which just MUST be explored in order to fully appreciate the beauty and grandeur of Nepal. This tour is specially designed for the travelers who are looking for cozy destinations with limited trekking. Not only does this tour cover a spiritually significant place like Lumbini (the birthplace of Buddha), but also exotic places like Pokhara – a lakeside city full of adventures, and Chitwan National Park – a haven for exploring a huge variety of wildlife. This custom made trip covers the major attractions that you would like to experience. From the panoramic view of Mountain Everest to the birthplace of Lord Buddha and a jungle safari, we believe we deliver the best possible itinerary to experience the multiple cultures of Nepal. Note: The tour could also be tailored made depending on your preference. Please feel free to reach us anytime. You will be greeted by one of the representatives from Beyul Treks at Kathmandu Airport and then be transferred to your hotel. In the afternoon you can rest or explore the city. We will have a welcome dinner in the evening hosted by Beyul Treks and you can experience authentic Nepalese cuisine. Hour-long mountain flights are done every morning by numbers of domestic airlines. This incredible flight offers a panoramic view of the highest peak in the world, and offers great opportunities to take wonderful photographs of Mt Everest in all its’ glory. The views and memories will last a lifetime. 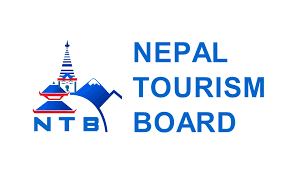 After the flight, we will take the guided UNESCO World Heritage site tour which includes Swayambunath (otherwise known as the Monkey temple), Kathmandu Durbar Square, Pashupatinath and Boudhanath. All the temples are magnificent both historically and archeologically. We leave Kathmandu early in the morning. We will have lunch on the way and after 5 hours of drive, we will reach Bandipur. 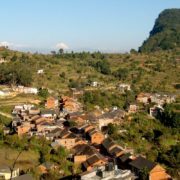 Bandipur is a small and ancient beautiful Newar town. 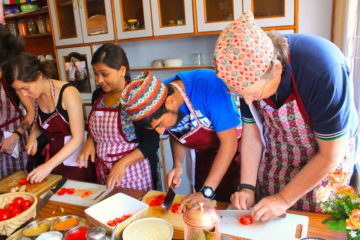 It has received a significant number of tourists lately who all enjoy experiencing the Newar way of life. The spectacular view from Bandipur is mesmerizing. It offers a panorama of the Annapurna Range along with peaks of Dhaulagiri, Langtang, and Manaslu. 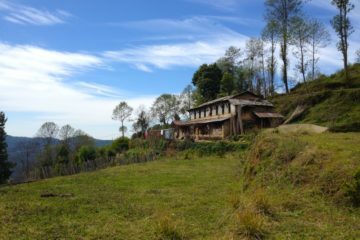 Before leaving for Pokhara, we offer an optional one hour hike to Siddha Gufa (cave) located at Bandipur. If you are keen for a short hike, we highly recommend visiting this holy cave. Afterwards, we will leave for Pokhara. It takes less than two hours to reach Pokhara from Bandipur. We have a free day here in Pokhara and there are lots of things to see and do. Listed as one of the MUST SEE places in Nepal, this lake city is one of the most happening places in Nepal. 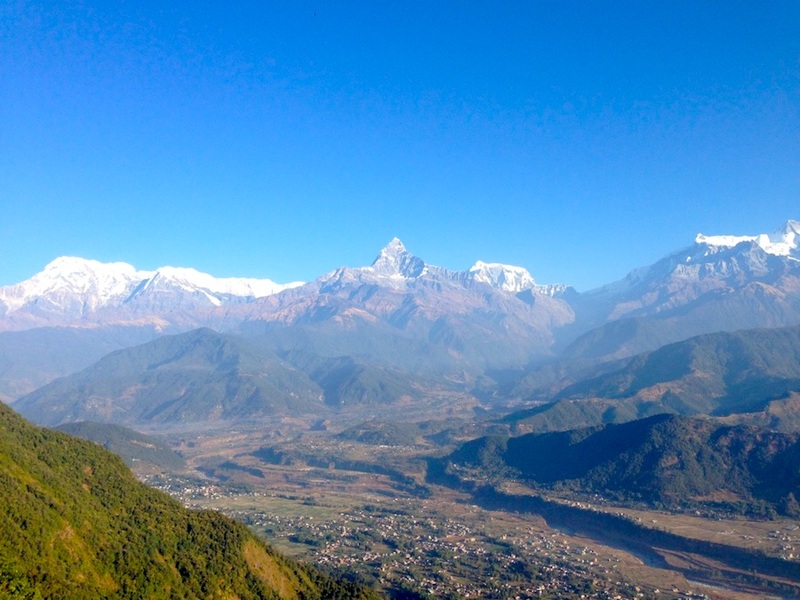 The stunning views of Fishtail mountain and Annapurna Massif are amazing. This clean city of Nepal is loved by everyone and remains on the destinations well worth repeating for most travelers. From the walk to the lakeside, live music, adventure tourism like paragliding, bungy jumping, and zip-lining, Pokhara has much to offer visitors. 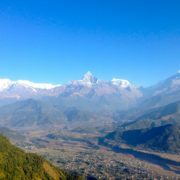 On day 3, we will drive from Pokhara towards Dhampus, another famous town in Pokhara valley. 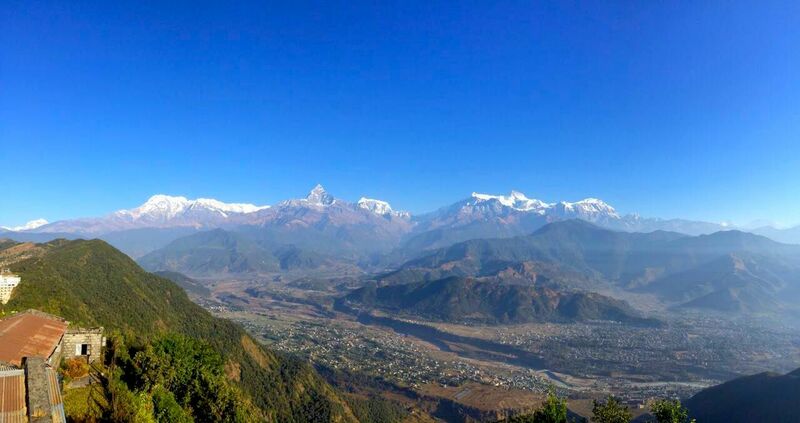 Dhampus is located at 1700m and is one of the best spots to view the Annapurna range from. We will then move on and have lunch at Kande. From Kande, we have amazing views of the Ghandruk town and landscape. We will then stay overnight at Pothana. We will spend half a day sightseeing and have lunch at Pothana. Pothana is the gateway to famous trekking destinations such as Ghorepani-Punhill, Annapurna basecamp or the Mardi basecamp. After lunch, we will head back to Pokhara. Once back in Pokhara, we will explore the must-see places like the World Peace pagoda and the Davis waterfalls nearby. After breakfast at Pokhara, we will leave for Lumbini – which is the birthplace of Lord Buddha. This five hour drive will pass through beautiful landscapes and we can really feel the change in the climate within just a few hours. 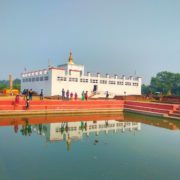 Lumbini is listed as a UNESCO world heritage site and is the holiest place for Buddhism. 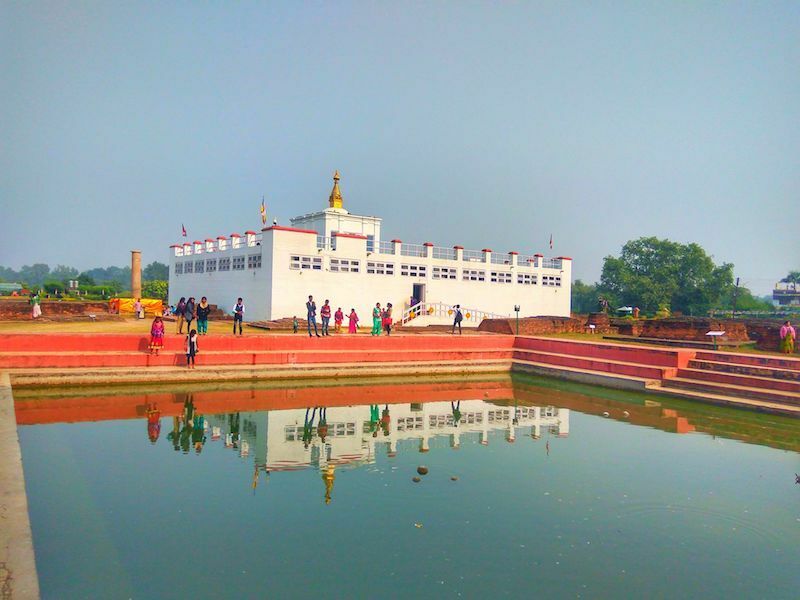 Lumbini also has a large number of monuments, temples, and the Ashoka Pillar which was erected in 249BC. We will drive to Chitwan from Lumbini after breakfast. The six-hour drive from Lumbini takes you to another iconic place famous for wildlife; the Chitwan National Park. It is another World Heritage Site located in Nepal that covers an area of 932 sq km. This park is well known for protecting one-horned rhinos, leopards, royal bengal tiger, and crocodiles. There are also myriads of bird species and more than 65 other mammals species. Today we will explore Chitwan. 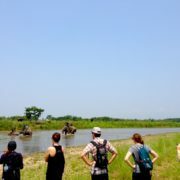 We will take a jungle safari and observe a huge variety of flora and fauna, along with the cultural experience that Chitwan has to offer. 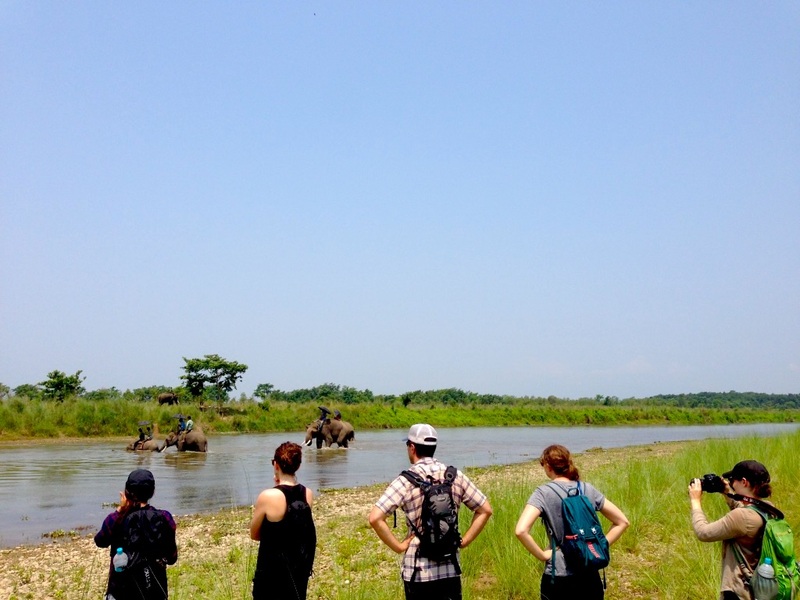 Chitwan is often on the radar for many travelers. The riverboat experience, watching elephants bathe in the river and purchasing local handicrafts are also experiences not to be missed. We will fly back to Kathmandu, and have a group dinner in the evening to go over our adventures together and share memories. Extra night accommodation due to early/late arrival/departure, or due to early return.